Welcome to the official home of the Pekiti Tirsia Tactical Association, or PTTA. Designed for Law Enforcement and Armed Forces, the PTTA offers specialized programs which apply time-tested Pekiti Tirsia Kali to modern combat tactics for operators and trainers. PTTA Instructor Certification programs use the Tri-V Methodology of Pekiti Tirsia as a framework, in large part because of the emphasis on more direct combat tactics & application of the system. 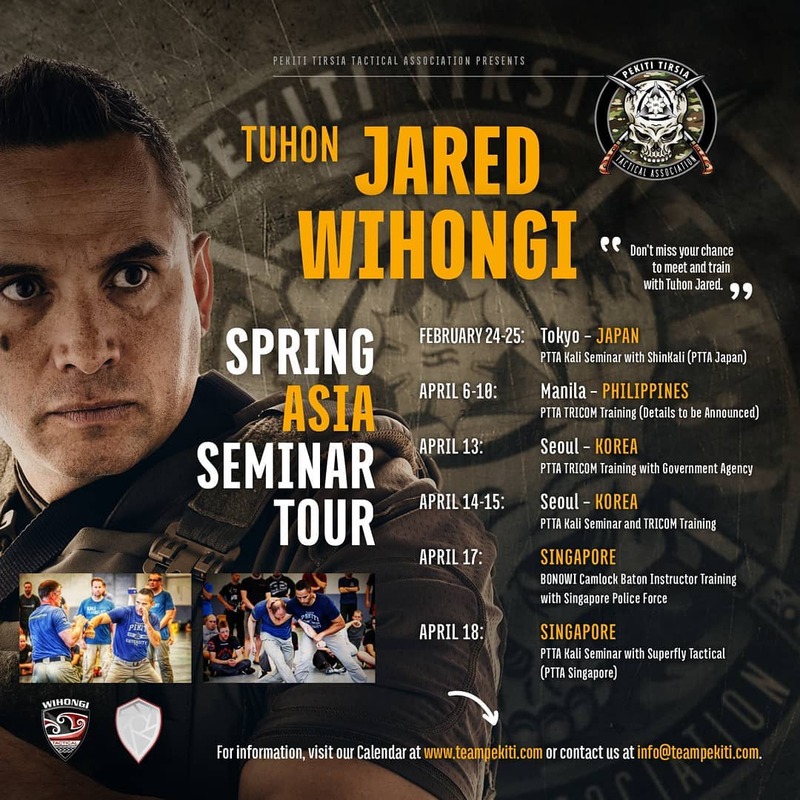 Tuhon Jared Wihongi’s Spring Asia Seminar Tour starts this weekend in Japan, then picks back up with the Philippines, South Korea and Singapore in April. For those from these areas, you can join and attend training at one or more of these events! For registration and more details, please contact: info@teampekiti.com or use the form below.